SERVICESDedicated healthcare transport and logistics solutions. Daily and weekly discreet deliveries to home patients including put away and stock rotation services throughout the UK. NHSTimed deliveries to NHS Depots, NHS Gateway Administration including Cross Docking and Blue Diamond services. STERILISATIONFactory to Steriliser and return loads. Full or part chamber loads. Regular delivery slots with major sterilisation plants in UK. Discreet deliveries to hospital wards and stores by trained, uniformed drivers who are CRB checked and carry identification. GMP compliant warehousing and distribution, including FIFO/LIFO stock rotation, Lot/Batch Tracking and Expiry Date Capture. “Kimal plc. Have worked closely with Broadway Transport for over thirty years. During that time Broadway have become an integral part of our Distribution and Logistics operations in London and the West Midlands, providing value added logistics services to our many customers across the U.K. and assisting us with our internal logistics on a daily basis. At Kimal plc. We aim to provide our customers with an exceptional level of service, which can only be achieved if our business partners and suppliers share in our commitment to service excellence. Broadway Transport helps us to deliver on the promises we make by providing us and more importantly, our customers, with a reliable, high quality service that exceeds our high expectations. 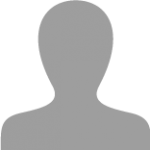 “McKinnon Medical has been supplying medical products for over twenty years, and during that time used various carriers, some good some not so good. We have been using Broadway for over five years; during this time they have always given us excellent service. The staff at Broadway cannot be faulted because they really care and worry about getting everything right. 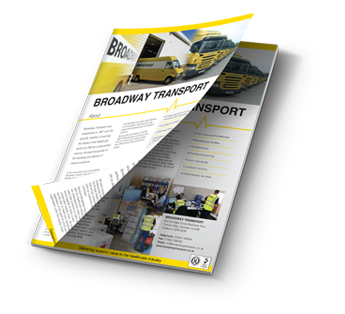 “MTN has worked with Broadway Transport since 2008 utilising their 3rd party warehousing, distribution and transportation services and we consider them to be a reliable and loyal partner. Broadway Transport knows the healthcare market well, particularly the renal care business which is our area of focus. The company does not distinguish between large and small customers, but treats each customer the same regardless of their size. 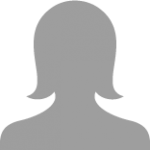 Management and staff are highly competent and communicate very well with our customers on our behalf, which is invaluable to us as a business based in Germany. The staff at Broadway Transport are proactive in their approach to issues such as late supplies deliveries or missing order items and keep us well informed so as not to impact our ability to service our customer needs. Broadway Transport also assist MTN in finding solutions that reduce our costs and increase our efficiency. If MTN had to choose their UK logistics partner again, we would definitely choose Broadway Transport.